2016 saw our cyclists conquer the Polish mountains. From historic Wroclaw, through the Beskidy and the Tatra mountains, finishing in Kraków, our riders covered 960 km, with over 10,000 m of ascent. The scenery was beautiful! We visited 9 hospices and delivered equipment that was very much needed - from beds and mattresses, to oxygen concentrators and dressings. We met patients and hospice staff, got escorted through town by the local Harley Davidson club, and were greeted by a traditional Polish folk band and entire scout group. Most importantly of all, we helped to support patients and families throughout this beautiful country. We raised £15,000 which provided new medical equipment and supplies for a total of 15 hospices. You can see photos and reports on our blog and facebook, take a look at our impact infographic and read more about the ride. 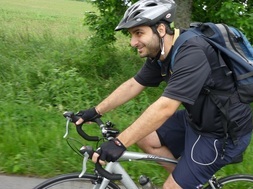 In 2015 our cyclists pedalled from Gdansk, past the Mazury lakes and along the eastern border, to the mountains in the south, and finished in Kraków. They visited 6 hospices, which received vital medical equipment: beds, mattresses, medicines and more. The ride raised over £25,000, so an additional 25 hospices benefited from new equipment. You can see photos and reports on our blog and facebook. Honorary Patrons for the ride were Maja Włoszczowska, MTB world champion, and Olympian Damian Zieliński. You can read more about the ride here. 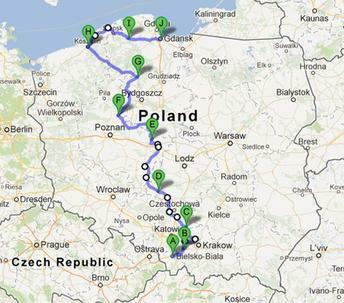 This year our cyclists rode from Szczecin on the north coast through Poland, Germany, the Czech Republic and Slovakia to Kraków. They visited 10 hospices, donating new vital equipment form the Foundation, met hospice patients, families, volunteers and staff. 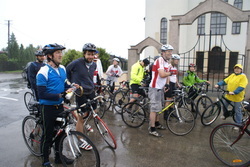 The ride raised over £14,000. You can see photos and reports on our blog and facebook. 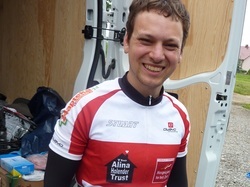 and Olympian Damian Zieliński, who cycled the first kilometres of the ride with us. 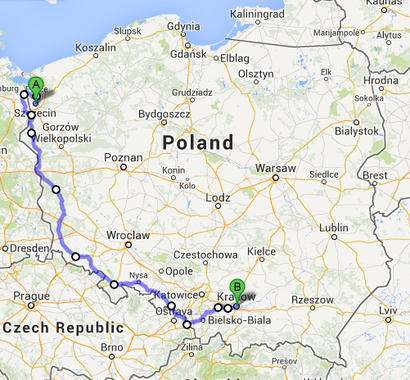 In 2013, 25 cyclists traveled over 1100km from Bielsko-Biala, through Lodz and along the Baltic coast to Gdansk. They visited 10 hospices, delivering essential medical equipment to support patients and their families. 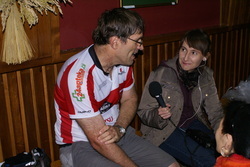 Our patron was once again Maja Wloszczowska, an olympian and world champion mountainbiker. 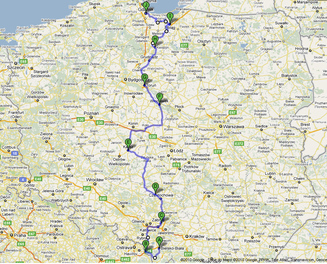 Find out more about the ride here. 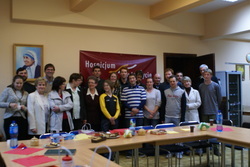 21 participants from Poland and England cycled 1000km and visited 8 hospices across Poland, raising £15,000 for medical equipment. 140 people joined us at the start, and a total of 300 people took part in the ride, including Polish actress Joanna Jablczynska. 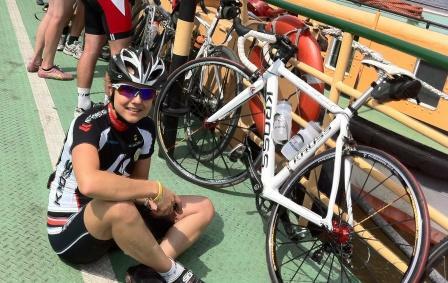 Our patron for this year's ride was Maja Wloszczowska, the 2010 World mountain bike champion. In 2012 our cyclists conquered the Polish mountains on a route through the remote south east of Poland, from Bielsko-Biała to Kraków. We visited 8 hospices, donated equipment, met patients and volunteers, and were even greeted by a marching brass band! 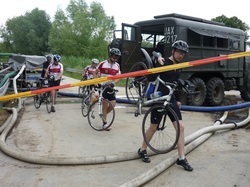 The ride raised over £15,000 for vital equipment. You can see photos and reports on the blog. Read more about the ride here. 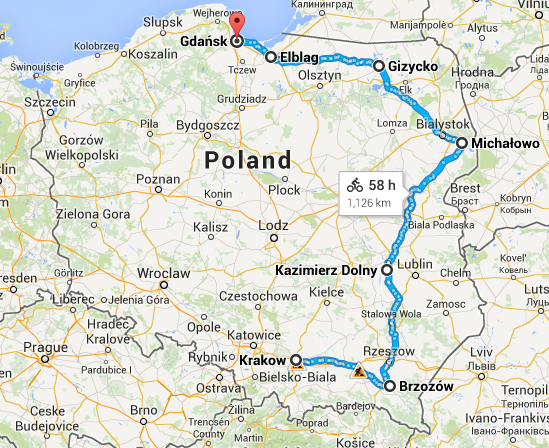 The route of our first ride was from Gdańsk on the north coast to Bielsko-Biała in the south of the country. 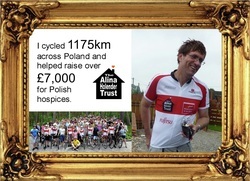 11 participants rode over 1000 km, visited 8 hospices and raised over £9,000 to help Polish hospices. The official start took place at the annual conference of the national Hospice Foundation and our cyclists appeared on TV, radio and in the press to promote the hospice movement.